The goal of the programme is to reduce the vulnerability to HIV and alleviate the impact of isolation on selected agriculture communities. This was initiated in the districts of Wellington and De Doorns, in the Western Cape, where agriculture is the main source of employment. With a primary focus on HIV, human dignity and healthier relationships are promoted and leadership is developed. Peer Educators know their own context and circumstances better than outsiders and can therefore speak to their community in a unique way. Working from a baseline study done in the district of Wellington in 2015, through funding from Brot für die Welt, CHABAHIVA Trust and CABSA developed an HIV Peer Educators programme for farms. A first project was implemented in 2016 on a number of farms in the Wellington district. The first component was the training of 20 employees (14 women and 6 men) selected from the 7 participating farms. Over 5 consecutive Wednesdays they were trained in various topics and received tools to communicate with their peers. CABSA succeeded to create a safe space for participants and the overall feedback on the training was overwhelmingly positive. The second component of the project was the 4 follow-up and support meetings with the trained Peer Educators. CABSA also reached out to local churches. The third component was an HIV Family Health day in the community on Saturday 26 November 2016. The main purpose of the event was to encourage people to know their status and therefore HIV testing, together with health screenings, were organized for the day. With the slogan “I care about my health” the day was also about family and health with many entertaining activities. NORSA (a local NGO contracted by the Department of Health) provided the HIV counselling and testing. the fact that 120 people volunteered for HIV testing. The hard work of the Peer Educators contributed to a festive atmosphere that drew more than 300 people! The project was concluded with a special evening where Peer Educators received certificates that confirmed their participation in the three components of the project on the 7th of December 2016. The positive feedback and success of the 2016 project motivated CHABAHIVA Trust to ask CABSA to invest more into this specific community and to also expand to the district of De Doorns. A Peer Educator Refresher was presented in Wellington for 14 Peer Educators that were trained in 2016. This was to sharpen their knowledge on HIV and AIDS and to focus more on what it means to be a role model and peer educator in your community. A further eighteen employees were selected from farms in Wellington and De Doorns and they attended the five-day Peer Educator training over five consecutive Wednesdays or Thursdays. (The challenges to involve employers resulted in lower than expected numbers.) The training empowered them with information and tools to share HIV information with family and friends and it assisted them to grow as Peer Educators that can support people who are living with HIV or have questions about HIV. To ensure the continued impact of the project, CABSA remained in contact with Peer Educators and a number of follow-up sessions were arranged in both Wellington and De Doorns. These meetings were conducted in the evenings after work as to not interfere with work responsibilities. This was not easy for everyone to involved, but the majority of the group stayed committed. 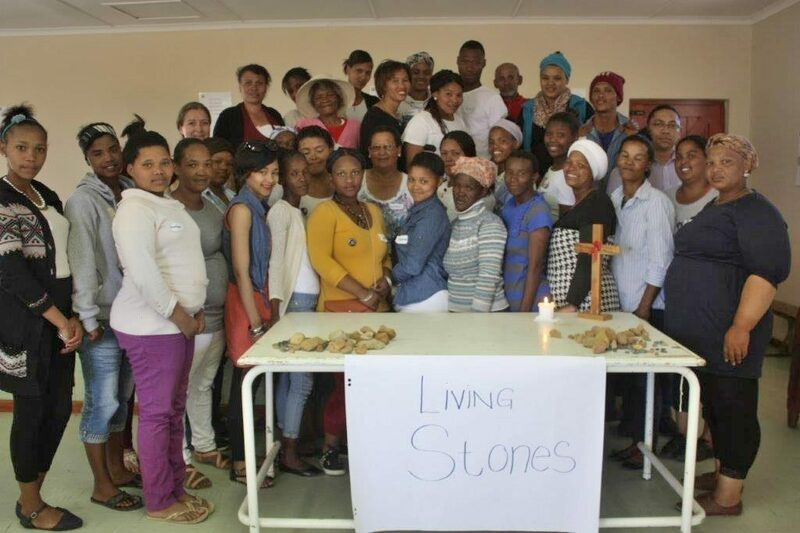 The Peer Educators from De Doorns arranged a one-day HIV awareness workshop in their area that was attended by 34 people, indicating the need for more information. One Family Health Day was organized for each area. 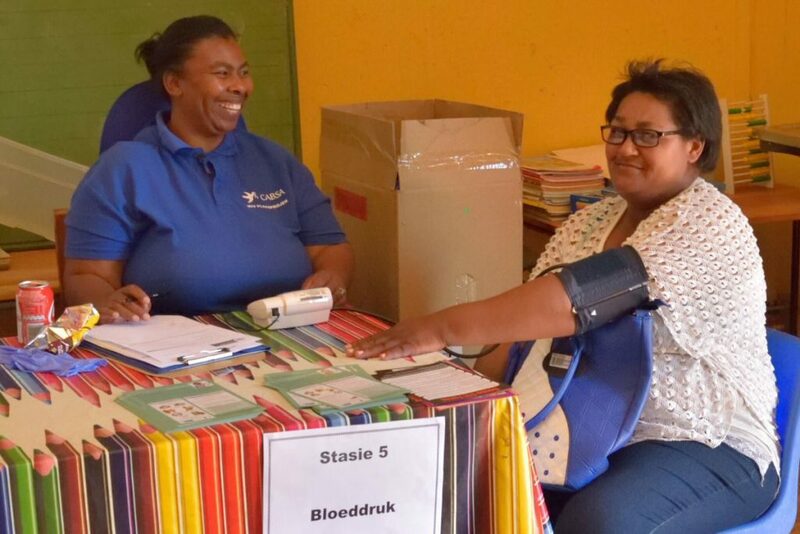 The Family Health Day in Wellington took place on the 12th of November at the local farm school, Bergriver Primary. It was attended by 340 adults and children of whom 120 participated in the HIV testing and other available health screening. 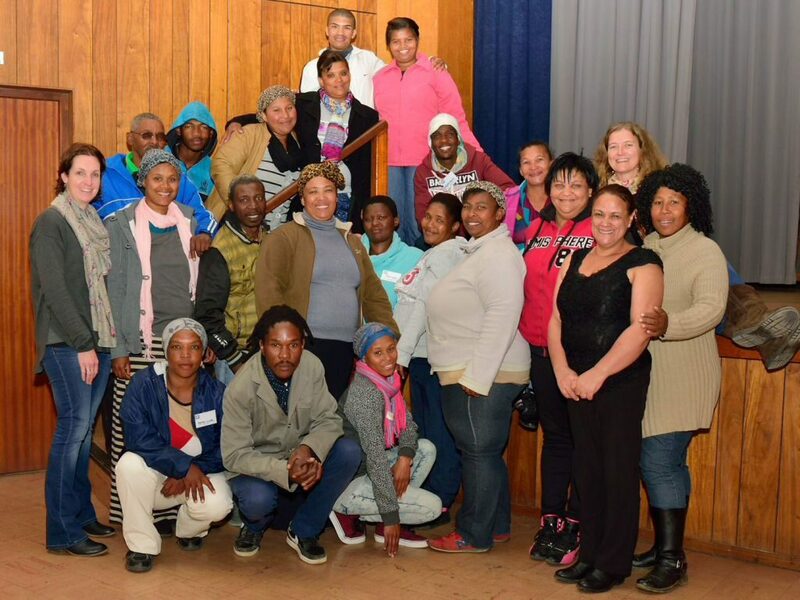 The Family Health Day for De Doorns was scheduled for the 2nd of December at the Rabie Primary School. It was attended by about 160 adults and children of whom 41 participated in the HIV testing and other health screening. Health screening at one of the Family Health Days. The HIV testing services were offered by NORSA, a local NGO contracted by the Department of Health to provide HIV counselling and testing. In Wellington and De Doorns the projects were concluded for the year with certificate ceremonies. These events offered the opportunity for Peer Educators and CABSA staff to relax together and reflect informally on the HIV Farm project. Proper monitoring and evaluation tools were utilized throughout the project. This included a pre and post training questionnaire that were completed to assess the change in attitudes and knowledge of participants during the course of the training. The CHABAHIVA Trust continues to bring HIV knowledge to farm communities in the district of Wellington and De Doorns through the implementation of the HIV Peer Educator programme by CABSA. Please follow CHABAHIVA Trust Facebook page for regular updates! CABSA continues to network with the Department of Health and other role players (e g churches and employers) in both districts of Wellington and De Doorns. The already trained Peer Educators received a refresher training and are being supported through regular meetings and contacts. Employees with potential are recruited and will receive a 5-day Peer Educator Training. They then become part of the Peer Educator teams. Community engagement will continue through direct involvement of CABSA and through the Peer Educators as well as exploring to support and partner with other initiatives aimed at the agriculture community. A highlight of community engagement will be the Family Health Days in each district. CABSA will also seek opportunities to engage with employers and stakeholders from other areas to determine the possible needs for adapted short versions of the HIV Farm Programme. This could include a stand-alone HIV peer educator training, a series of information sessions with testing opportunities or workshops to respond to the perceived needs. Please contact CHABAHIVA Trust or CABSA if you are interested.